As the nation prepares to celebrate National Bill of Rights Day on Saturday, it is important to remember that all of the rights enshrined in the first ten amendments to the Constitution are equal, and deserve the same zealous protection as all the others, the Second Amendment Foundation, Citizens Committee for the Right to Keep and Bear Arms, and Jews for the Preservation of Firearms Ownership said today. “Despite the efforts of lobbying groups and some politicians,” noted SAF founder and Executive Vice President Alan M. Gottlieb, “the Second Amendment has retained its position as the cornerstone of our Bill of Rights. The individual citizen’s right to keep and bear arms protects all of the other rights, including free speech and press, the right to legal counsel, the presumption of innocence, and to be secure in our persons, homes and papers against unreasonable search and seizure. Gottlieb, who is also CCRKBA chairman, noted that these two organizations have steadfastly defended other rights, and will continue doing so “because the Bill of Rights is only as strong as its weakest link.” JPFO is a non-profit educational organization that defends human rights. “Our mission is that of any citizen who values the liberty and freedom our nation symbolizes above all other nations of the world,” he stated. “Our Bill of Rights is the envy of every other citizen of every other country. Our Bill of Rights is the foundation upon which our nation continues to stand as the land of opportunity. It’s why so many want to come here, and why so few ever want to leave. 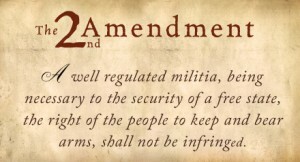 “Since it was ratified in 1789,” Gottlieb continued, “our Bill of Rights has weathered many a storm, not the least of which has been the almost unceasing effort to erode the protections provided by the Second Amendment. We must defend the Second as vigorously as we have defended all of our other individual rights. Just over a year after Justice Neil Gorsuch was confirmed to fill the late Antonin Scalia’s seat on the United States Supreme Court, President Trump has tapped the second SCOTUS nominee of his first term. President Trump’s has nominated Judge Brett Kavanaugh to succeed Anthony Kennedy, who has sat on the court since being nominated by Ronald Reagan and confirmed in 1988. Since his July 9th nomination, Kavanaugh has received universal support from major gun rights organizations, including the National Rifle Association (NRA), Second Amendment Foundation (SAF), Gun Owners of America (GOA), and the National Shooting Sports Foundation (NSSF). In a separate statement, NRA said that “Judge Brett Kavanaugh has earned NRA members’ support.” In this statement, the gun-rights organization goes into additional details on the nominee’s Second Amendment history. 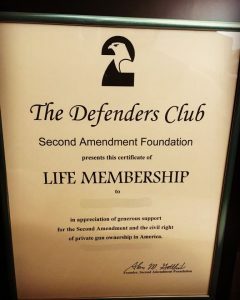 And several GunLink members are proud to count ourselves among newly-upgraded SAF members. 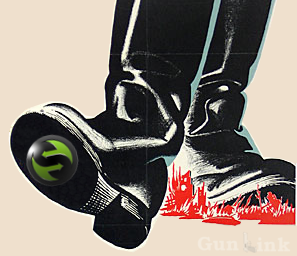 With the constant onslaught of attempts to further restrict gun rights, we believe that all firearms owners, patriots, and other supporters of the United States Constitution must band together to fight back to limit and eliminate government infringements of the basic human rights proscribed by the Constitution and Bill of Rights. 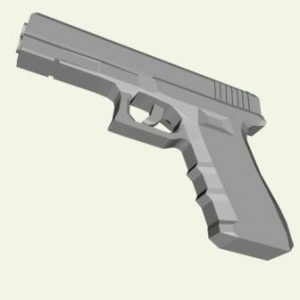 Join the Second Amendment Foundation here, join NRA here, and check out other RKBA organizations here. If there ever ever was one, now is the time to present a united front against further infringements.